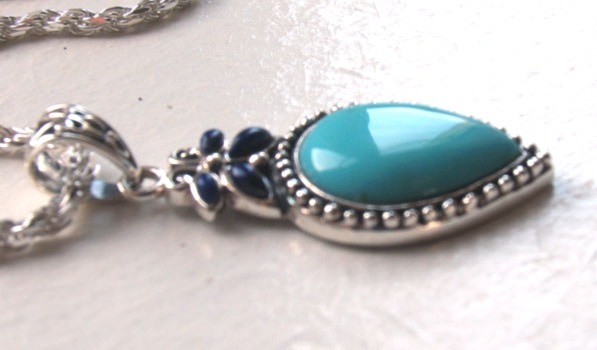 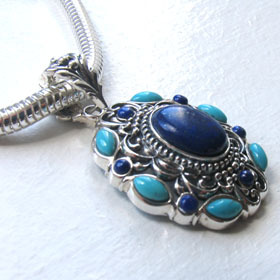 Turquoise pendant with lapis lazuli set in sterling silver. 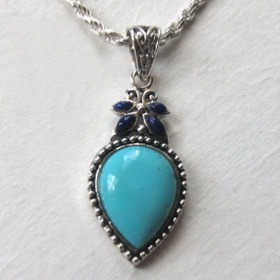 This new addition to our large turquoise pendant collection is a pretty style beautifully crafted using natural turquoise and lapis lazuli gemstones set in sterling silver. 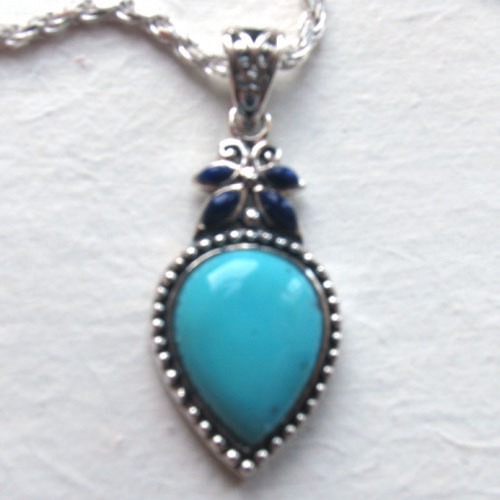 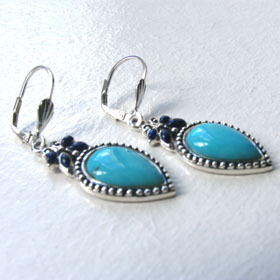 The pear drop turquoise stone is neatly set into a fine beaded frame. 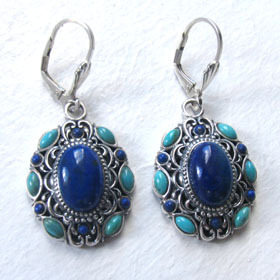 Above this is a flower style made out of 4 marquise lapis lazuli stones. 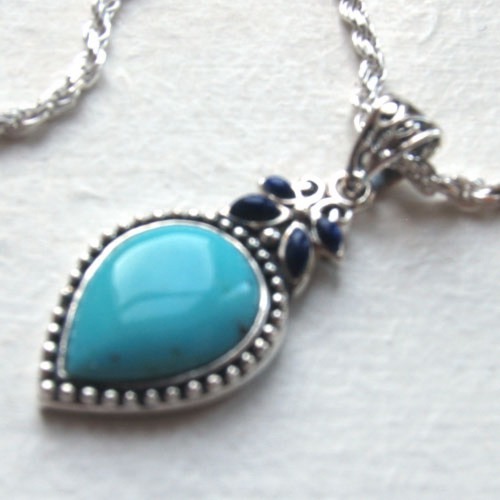 The combination is tried and tested since Ancient Egyptian times and looks fresh and strong. 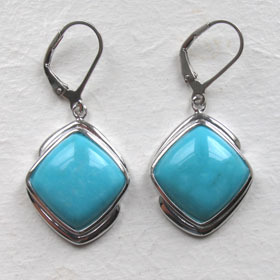 See the matching earrings Claudia to make a set. 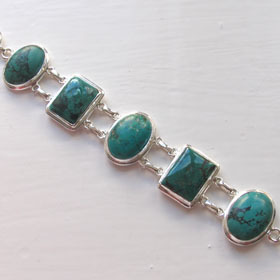 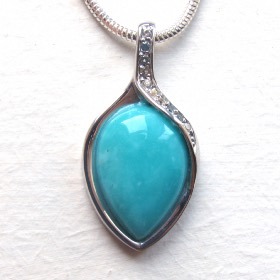 All of our turquoise pendants have natural stones. 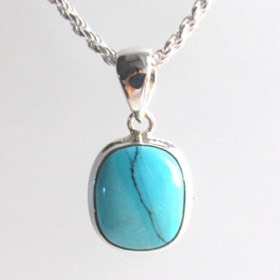 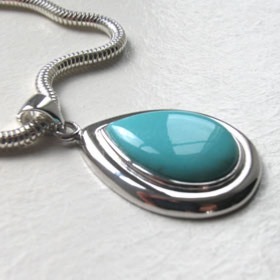 For the ideal sterling silver chain to wear with this natural turquoise silver pendant see our collection of Italian sterling silver chains. 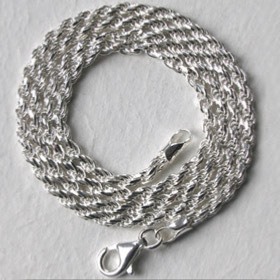 The featured chain is our sparkly diamond cut rope chain, width 2.3mms.